There are some goals most scientists share when they embark on their career: to advance your field, to make discoveries, to innovate and to increase knowledge. All of which help towards the scientist’s ultimate aim: to improve quality of life for some or all of society. You might reasonably assume that the law supports these goals – but you’d be wrong. One example is the law relating to the scheduling of drugs – grouping substances according to their current or potential use as medicines. You would expect this law to reflect current research on these substances while enabling more work to be carried out. But when it comes to Schedule I drugs like MDMA (ecstasy), LSD and magic mushrooms, we face almost exactly the opposite situation. Research into these drugs requires not only a high level of security, but also that the institutions involved buy a licence costing several thousand pounds not required for researching other drugs. Paradoxically, the other schedules include more harmful substances such as heroin. Funders often shy away from such research because of the red tape, associated higher costs, and the perception that it is possible to be stigmatised for supporting such work. You may well ask: does this matter? Personally, I believe it does. For many years I have wanted to research the effects and potential therapeutic uses of MDMA, but given the state of the law on drugs research, it has proved incredibly difficult to do so. It was only when Channel 4 agreed to provide hands-off funding that I was able to get the project off the ground. Their support has enabled me and my colleague Professor Val Curran to use fMRI scanning to look at how MDMA works in the resting brains of healthy volunteers and how it affects their behaviour through psychological testing. 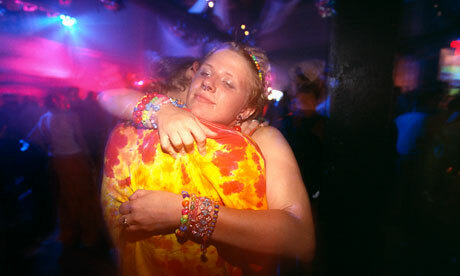 The study will take place in a safe context, with a controlled, pure dose, absence of any other drugs, including alcohol, and a doctor monitoring volunteers’ health – but it should still improve our understanding of how MDMA achieves its psychoactive effects. It could also inform later studies on potential therapeutic uses of the drug. The accompanying Drugs Live programmes, with recorded footage from the trials and interactive live debate, will be shown on TV in the autumn and get some valuable information across to millions of people. Research into a Schedule I drug like MDMA has potential both to help our understanding of how drugs affect the brain, and provide those who take them with better harm-reduction information. It also helps us understand how we can make drugs work normally, advancing our treatment of brain disorders. Some Schedule I drugs have huge potential for serious conditions where treatment is currently inadequate, including addiction and depression. Frustratingly, almost no research has been carried out since current regulations came into force in 1971. And the situation is about to get worse; the government’s new temporary drug control orders, under which methoxetamine is the first substance to be controlled, automatically puts new substances under Schedule I for the year that they are controlled. The likelihood of the drug then being downgraded is very remote, given that research will be practically impossible, especially within the year’s timeframe. David Cameron’s government recently talked of making life sciences the engine of economic recovery: a reduction in red tape around Schedule I and waiving the licence fee for research would help achieve his goal. Evidence on how MDMA works and what therapeutic use it might have would be of real value to society, and so as drug scientists we must investigate it. Not to do so would be nothing less than a dereliction of duty.